Here is the visual memory training technique that I like the most. 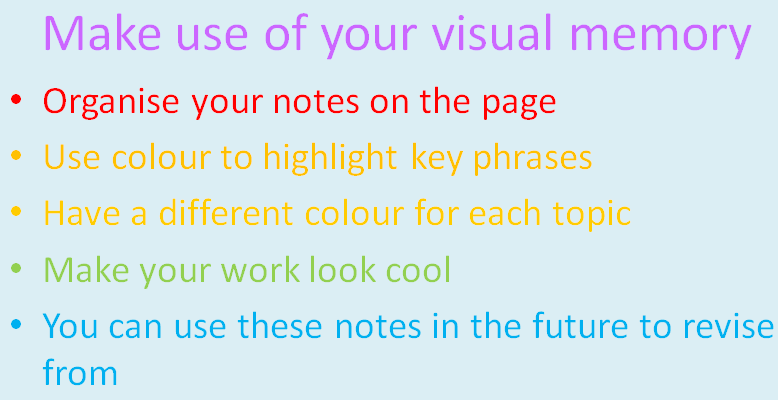 Visual memory is the ability of the brain to recall details in images. It is debatable whether or not this can be 'improved'. What is clear is that if you practice it you can get better at it. You can do this exercise virtually anywhere. One version involves two people and the other you can do alone. Let's first take a look at the two person version. First, choose any picture. It could be an advertisement in a magazine or just a picture. It helps if there is more activity in the picture. For example, you won't get much visual memory training if it is just a picture of a person in front of a black background. Choose a picture that has several things going on in it. The person to undergo the training first looks at the picture for about 15 seconds. Scan each part of the photo taking note of what is seen. Don't proceed with panic. Just take your time to look over the picture and take note of everything in it. After the 15 seconds is up, hand the picture to your partner. Then, your partner can start asking open-ended questions about the picture. You should avoid asking yes/no questions. There isn't much meaning to asking "Was there an apple in the picture?" This would not be effective visual memory training. On the hand, questions like "What was in the background of this picture?" Or, "Recall as much as you can about this picture." The key is to get the person to describe what they remember seeing in the picture without leading them. You can also do this game alone. To start, look at the picture for 15 seconds like above. Then turn the picture over and with a pen and paper write down all the details you can remember about the photograph. One way to do this is to start in one of the corners and move left to right or up to down, writing down everything you can remember. When you are finished, turn the picture over again and see how well you did. Trying doing this at least once a day. 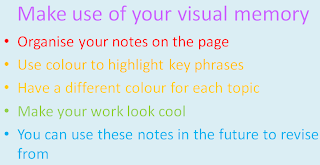 As you do this visual memory training more and more, you may find other ways of doing it. You can use real life instead of a picture, for example. The key is to do this often. As the days move on you should see your ability improve.